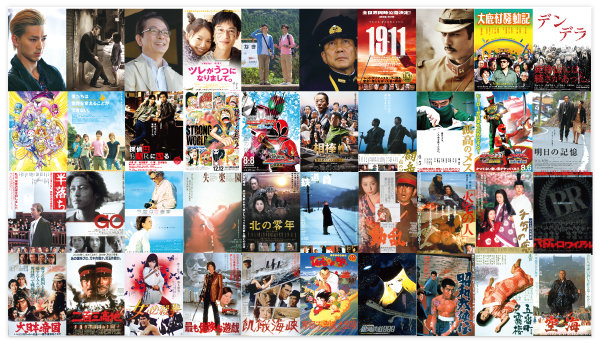 Toei has produced more than 3,000 movies and more than 20,000 television film titles. 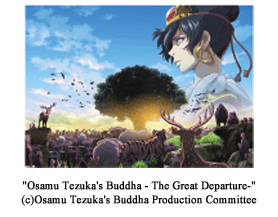 For Toei, which started as a movie company, movies are literally the key business and the foundation of the company. By planning powerful projects and based on our solid production systems, we make highly entertaining productions that match the times. Through our company’s own planning and production system based at the two studio sites in Tokyo and Kyoto, and producing works with various systems in cooperation with investors from TV stations, publishers, and newspaper agencies, we try to get more people to watch our excellent productions. Specifically, in moving ahead with film projects, we first do research to precisely understand the changes in audience tastes and then decide on the concept for films, assign the director and cast, and seek investors. By not only proceeding with the various production processes and budget management but also setting screening theaters and conducting advertisements and promotions in cooperation with the planning, marketing, and advertising sections, we aim to produce hits appropriately suited to the age of cinema complexes throughout the world. For half a century since our first TV movie in 1958, prior to other movie companies and based on our planning and producing capabilities and production systems developed from theatrical movies, we have produced a variety of genres in TV productions, mainly dramas, including regular programs featuring detective stories, period dramas, suspense stories, and special-effects superhero dramas, as well as longer special programs. 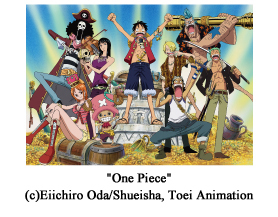 TV programs from Toei are produced by the production sections of Toei Movie Studios, Toei TV Production Co., Ltd., and Toei Animation Co., Ltd., in the Tokyo area, and Toei Studios Kyoto and Toei Uzumasa Eizo Co., Ltd., in the Kyoto area. 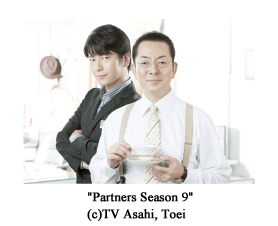 Toei’s productions created there account for about 30% of all TV dramas (30-minute and 60-minute regular programs) outsourced and broadcast by key stations, boasting a high share in the industry. The number of productions created annually by us exceeds 450. Since The White Snake Enchantress, the first full-colored feature anime film released in Japan in 1958, and Ken the Wolf Boy, the first original TV anime in Japan, which started in 1963 when broadcasting of anime started in Japan, Toei Animation Co., Ltd., has progressed with the history of Japanese anime and continues to produce anime films at the cutting-edge of the times. The total number of productions exceeds 10,000 episodes, making us the holder of the largest anime library in Japan and one of the largest in the world. In recent years, rapidly growing digitalization has enabled unprecedented approaches and created new markets in cell phones, DVDs, and Blu-ray discs, letting our company’s productions go beyond generations and national boundaries. As communication connecting the world and based on our management principle that we aim to become an emerging player that provides dreams and hopes to children all over the world, we create productions that are better than ever. Our film businesses are wide ranging. Production of educational films is the second oldest following our movie production section, and many productions from us received the Tokusen (special selection) Award from the Ministry of Education, Culture, Sports, Science and Technology and other awards. The annual number of productions is 20, which represents the largest share in the industry. In addition, we focus on the production of original software products, such as packaged DVD software and content for online distribution to create a diversified film entertainment market.